Linda Susan Ponchur (Suzi), passed away peacefully in her home surrounded by loved ones on September 1, 2018. Suzi was a warrior and fought a courageous battle with cancer throughout various times of her adult life. She will be dearly missed by her family, friends, and the love of her life, Mark. Suzi was born on May 17, 1959 to Dean and Libby Heinz in Springfield, Missouri. Her family moved to Shawnee, Kansas when she was three. Later, they moved to Overland Park, Kansas where she graduated from Shawnee Mission South High School. Suzi attended the University of Kansas, became a member of the Alpha Chi Omega sorority and graduated with a degree in Occupational Therapy. Suzi was preceded in death by her parents, Jewel Dean & Mary Elizabeth Heinz, her in-laws, Vincent Victor & Therese Marie Ponchur, her sister-in-law, Nancy Heinz, and her brother-in-law, Stan Neher. 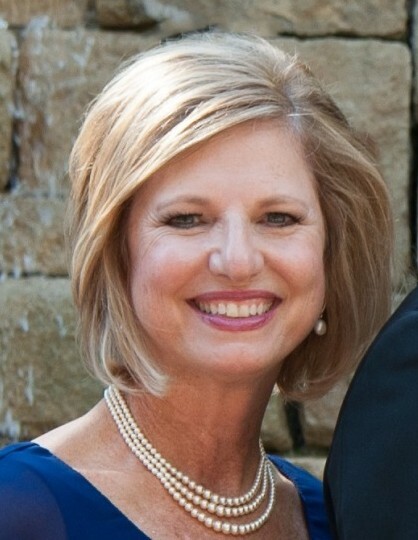 Suzi is survived by her loving husband of 35 years, Mark Ponchur (Leawood, KS), daughter Emily Knox and her husband Parker (Overland Park, KS), daughter Lauren Ebberts and her husband Michael, and her two beloved grandchildren George and Ella Grace Ebberts (Kansas City, MO). She is also survived by her brother Terry Heinz and his wife Gretchen (Springfield, MO), and her sisters Jan Heinz (Springfield, MO) and Jewel Neher (Kansas City, MO), her sister-in-law Patty Ponchur (Overland Park, KS) and brother-in-law Tom Ponchur and his wife Karen (Overland Park, KS), her six nieces and three nephews, and their spouses and children. Suzi enjoyed spending time with her grandchildren; adventuring to Gezer park, Louisburg Cider Mill, Deanna Rose Farmstead, and the Blue Valley Library. She loved date nights and attending parties with Mark. She enjoyed traveling and being with family at Table Rock Lake and skiing in the mountains of Colorado. Suzi was happiest outside being active. She loved tending to her third-generation pink peonies, her surprise lilies and her ferns. She loved to “take a walk around the block”, do water aerobics and catch up with her girlfriends over lunch. It thrilled her to marathon shop with her sisters and daughters. For 30 years, she worked specializing in hand therapy at Shawnee Mission Medical Center, where she worked as an Occupational Therapist. She was passionate about her career, her colleagues and her patients at Therapy Plus. She will be remembered by all for her contagious smile, witty sense of humor, and genuine interest she took in anyone she encountered. Suzi was always one to get a dance party started or lighten the mood with a joke. She was loving, she was kind, and she will truly be missed. Suzi showed true bravery, courage and grit as she battled Hodgkin’s disease, breast cancer and lung cancer. She was profoundly grateful to Dr. Chao Huang, his nurses and the staff at the University of Kansas Health System Cancer Center who were instrumental in safeguarding her health and well-being, and for prolonging her life. A Rosary will be held at 5:00 pm, with Visitation from 5:30-7:30 pm, on Sunday, September 9, at Johnson County Funeral Chapel, 11200 Metcalf Ave, Overland Park, KS. A Memorial Service will be held at 10:00 am, on Monday, September 10, at Church of the Resurrection – Wesley Chapel, 13720 Roe Ave, Leawood, KS 66224, with luncheon reception following. We will conclude her celebration with an inurnment ceremony at Johnson County Funeral Chapel in the Indoor Mausoleum. In lieu of flowers, memorial contributions may be made to the American Lung Association, 6701 W 64th St #110, Shawnee Mission, KS 66202, http://action.lung.org/site/Donation or Kansas City Hand Rehabilitation Special Interest Group, 4247 W. 150th Terrace, Leawood, KS 66224.